While I didn't officially graduate from Riviera Beach High School, I feel a close connection with the school, and you. So I hope that you won't be put off by my name being on this list. Seeing the names of many of my old friends on this list brought back many fond memories. I lived in North Palm Beach from 1959 until the end of 1967. Owing to the nature of my dad's work (aerospace R&D), my family and I moved away during the middle of my junior year. After graduation from high school in West Hartford, Connecticut, I went off to college in Boston Massachusetts. After a few years, I transferred to the University of California at Santa Barbara where I earned a BA in Chemistry. I then went to the University of California at Los Angeles where I earned a PhD in Chemistry. After graduation, I moved to the San Francisco bay area where I got married, had two wonderful children, and reasonably successfully pursued a 30-year career in industrial chemistry. I am now retired and enjoying it immensely. I posted a link to my Facebook page above. One memory was of Mr. Balzano's chemistry class in the fall of 1967. We sat on lab benches in a laboratory. He had painstakingly written high up on the laboratory wall dozens of the names of past students of his who had gotten an A for the year. I thought at the time, "I can do that". Well, I did ace that first semester, but then my family and I moved away, and I never did finish that personal challenge. David Lingenfelter added a comment on his Profile. David Lingenfelter added a comment on Patti Jackson Weeks' Profile. David Lingenfelter added a comment on Kenneth Ackerman's Profile. 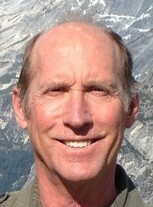 David Lingenfelter added a comment on Cathy Wheatley Wood's Profile. David Lingenfelter added a comment on Mary Jane Little's Profile. David Lingenfelter added a comment on Don Titcomb's Profile. David Lingenfelter added a comment on Jim Metcalf's Profile. David Lingenfelter has a birthday today. David Lingenfelter added a comment on Laurie Van Deusen Van Reeth's Profile.